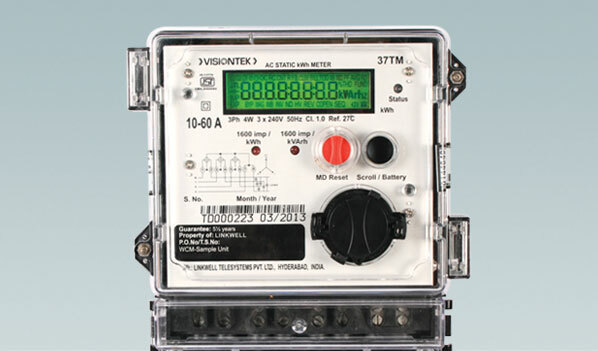 VISIONTEK 37TM Three Phase Electronic Energy Meter is designed to meter residential and commercial category consumers in distribution networks. The meter is targeted at the deregulated energy markets which require flexible tariff structures and a modern energy management. 37TM is a perfect combination of well-proven metering technology sealed in a single enclosure with multiple communication interface options. 37TM Energy Meter complies with IS-13779, CBIP-TR 88 and communication protocol in accordance with BIS ICS ETD 13 doc 6211 (IS 15959) Category C for interoperability.